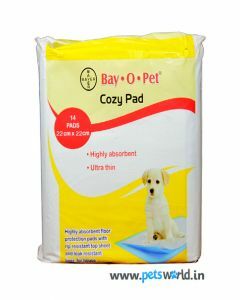 Potty Training or House Training is one of the basic behaviour training which is imparted in pet dogs. A well-house trained dog is a well-behaved dog. 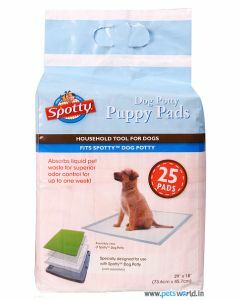 We at PetsWorld offer you fine quality potty training products for making your dogs house trained quickly. 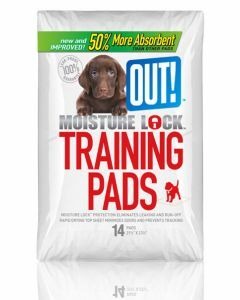 At PetsWorld, we have excellent training pads having high moisture lock properties for tapping your pet’s urine. 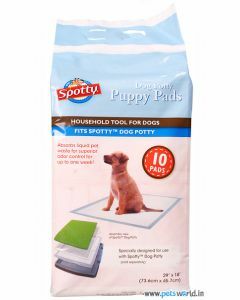 They are easier to clean and have a built-in attraction which allures the dog to the pad. 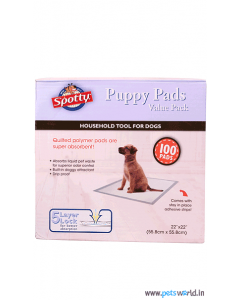 The pads contain odour eliminators and blockers which keeps the urine smell too low for a human to smell, but good enough for puppies to detect and eliminate at the same place. 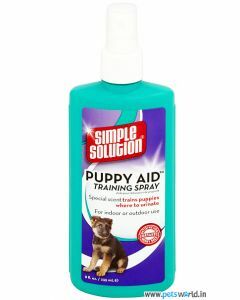 You can also find puppy aid training sprays at PetsWorld which have a scientifically formulated attractant for compelling your pet dog to urinate at the place you have chosen. 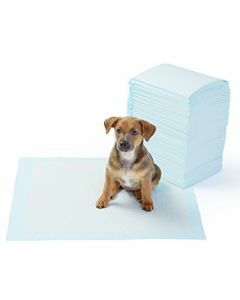 For the dogs who stay indoors, simply spraying the product on newspapers or the training pad attracts the animals to the spot.